GLOCK, Inc., today introduces their first ever “Crossover” pistol, the GLOCK 19X, which combines the best features of two of its most popular and most trusted field-tested platforms. The full-size GLOCK 17 frame and the compact GLOCK 19 slide have joined forces for the ideal pistol for all conditions and all situations. New released video shows soldiers of the 101st Airborne Division training with brand new M17 MHS' (Modular Handgun System). It is replacing the M9 service pistol made by Beretta. The MHS is the US Army's version of the civilian Sig Sauer P320, which was announced as the winner of the XM17 MODULAR HANDGUN SYSTEM COMPETITION on January 19, 2017. 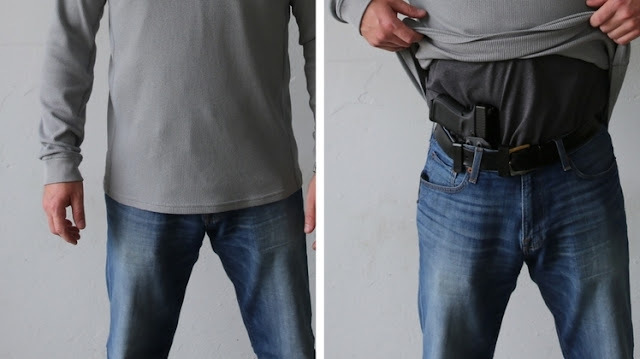 MARINE CORPS BASE QUANTICO, Va. – The Marine Corps is equipping Marines with a new weapon, providing enhanced concealed carry capabilities at an accelerated rate and lower cost to the Corps. The Glock 19M—called the M007 by the Corps—replaces the M9 service pistol for personnel requiring a weapon that can be easily concealed. The New Zealand Defence Force (NZDF) is entering an agreement to buy two new weapons, the Barrett M107A1 anti-materiel weapon and the Barrett Multi Role Adaptive Design (MRAD) sniper rifle. Forty M107A1 and 42 MRAD weapons will be bought, at a cost of NZ$4 million. This cost includes day optics, suppressors and ballistic computer auxiliary equipment to complement a total weapon system. Heckler & Koch has won the tender to provide the German Special Commando Forces (KSK) and the German Naval Special Commando Forces with the HK416 A7 assault rifle. The new assault rifle is expected to be introduced by the Special Forces in early 2019. The HK416 A7 replaces the long­serving G36 K as the standard weapon for the German Special Forces. The HK416 A7 is a 5.56 mm x 45 NATO calibre gas operated weapon with a 14.5" barrel and weighs around 3.7 kg. The new weapon impresses with its high precision, secure function and reliability. 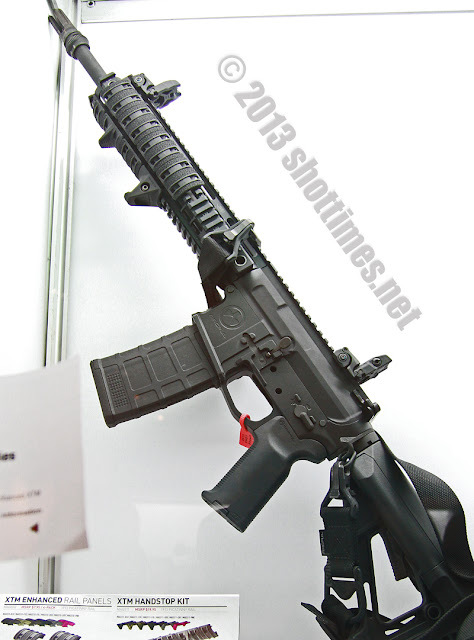 The contract is for a total of 1,745 HK417 A7 including accessories. 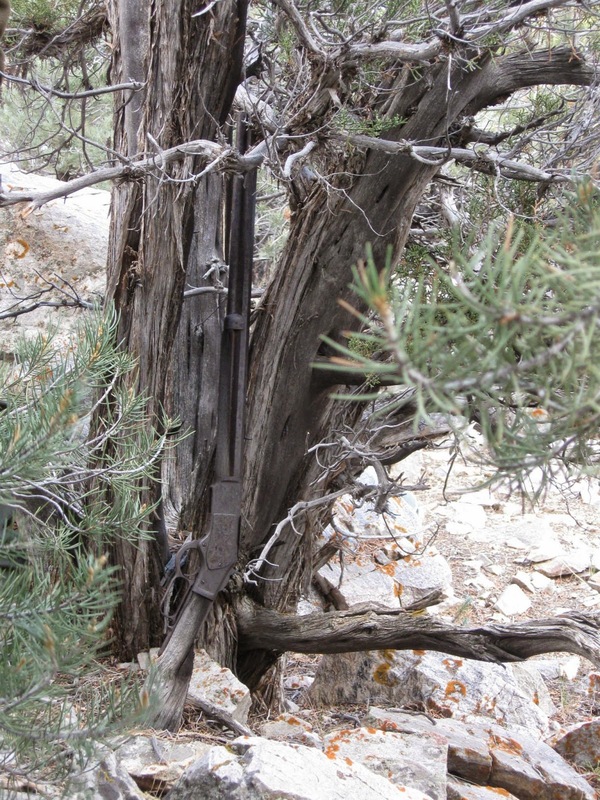 A rusted and worn out Winchester Model 1873 rifle made in 1882 was found leaning by an old juniper tree at the Great Basin National Park, Nevada. It is thought that it was left there by someone of that period as it is so worn out, weathered and found in a place where it is hard to spot. Park archaeologists removed it last November and it will be preserved as a piece of history for the park. On January 7th, two gunmen armed with AK-47's attacked the French newspaper CHARLIE HEBDO in Paris, France. They killed 12 and wounded 11 others during the attack, including 2 police officers. The perpetrators escaped and immediately all of France was put into alert and the hunt began. Police and military units from all over France mobilized and were heavily armed to combat the perpetrators believed to be islamic extremists. The hunt lasted until January 9th with additional casualties that amounted to 20 killed (including 3 terrorists) and 21 wounded. President Barack Obama shoots clay targets on the range at Camp David, Md., Saturday, Aug. 4, 2012. 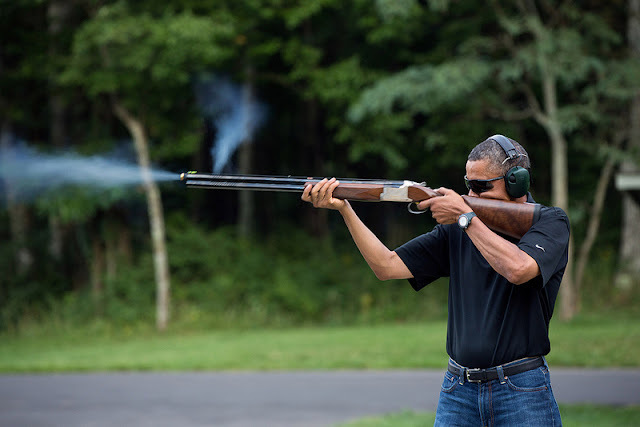 President Obama stated last week that he picked up shooting clay pigeons as a new hobby during stays at Camp David. As a result of his comments, this photo was released by the White House as many in the press remained skeptical after President Obama stated that he did it all the time. Model GLOCK 17 Gen 4 replaces previous choice, used for more than 40 years. Today GLOCK, Inc. announced its contract award by the United Kingdom Armed Forces, to use the GLOCK 17 Gen4 pistol for its personnel. The Ministry of Defence (MOD) chose GLOCK to deliver 25,000 pistols by the end of March 2013. Troops deployed to Afghanistan will be among the first to use the new weapon. New for 2013 is the new ISR (Integrally Suppressed Rifle). Chambered in .300 AAC Blackout with a permanently attached sound suppressor at the gas block. The gas block is of pistol length and is fitted to a 10.3 inch cold hammer forged barrel and a 5.7 inch suppressor.